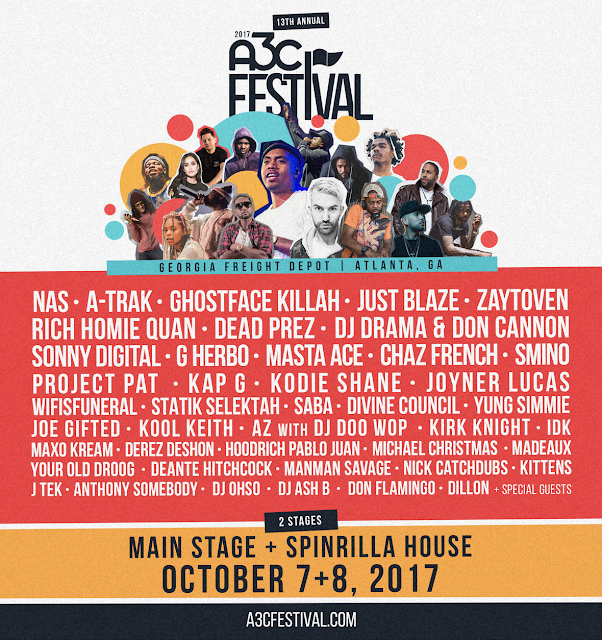 Following the headline announcement of this year's 13th annual A3C Festival in Atlanta featuring Nas, Ghostface Killah, Just Blaze and more, Fool’s Gold DAY OFFcontinues to take over on Sat, Oct 7th on the outdoor stage at the Georgia Freight Depot all day long. 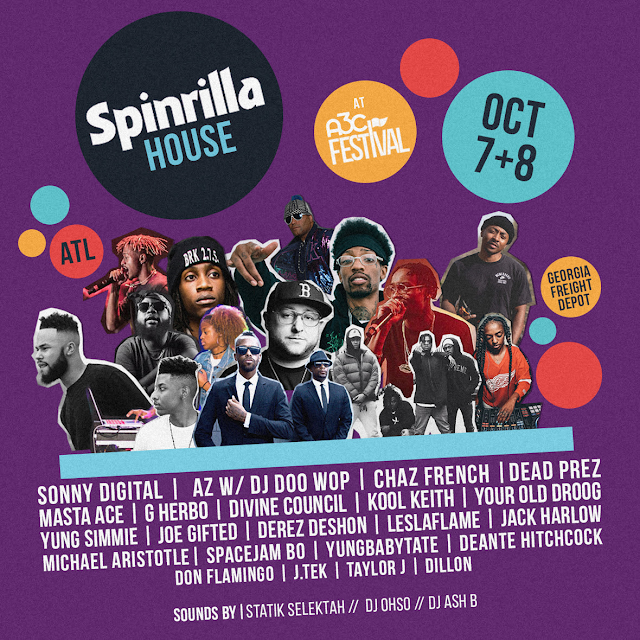 Hometown heroes Rich Homie Quan and Kap G, Boston’s Michael Christmas and Memphis legend Project Pat join the lineup of A-Trak, DJ Drama & Don Cannon, Zaytoven, Smino, Kodie Shane, Maxo Kream, Wifisfuneral, Hoodrich Pablo Juan, ManMan Savage, Nick Catchdubs, Kittens, Madeaux and special guests. Fool’s Gold DAY OFF is the Brooklyn-based label’s very own traveling music festival, also making 2017 stops in Montreal, Paris, New York, Los Angeles and London. 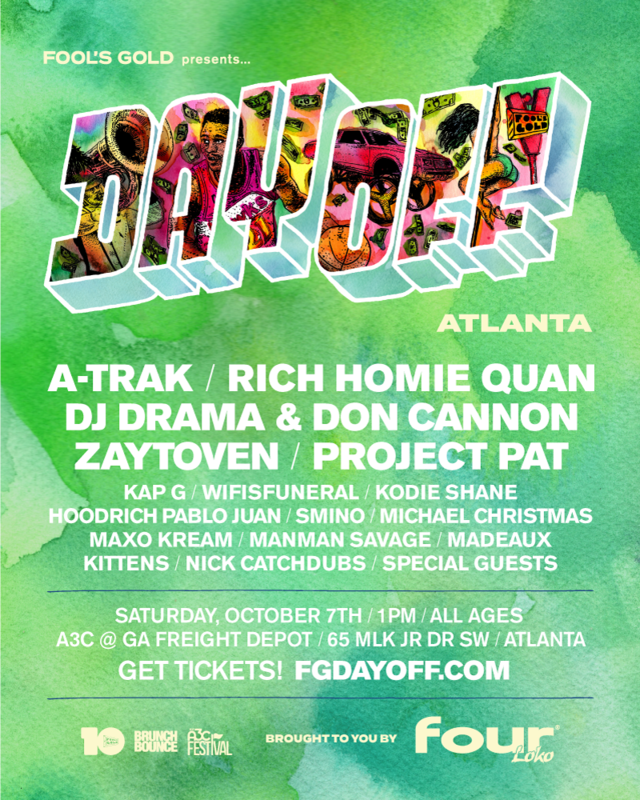 It’s THE place where underground heroes become superstars - past Atlanta editions have featured early sets from 21 Savage, Father, and Young Thug & Travi$ Scott’s first joint performance - and Fool’s Gold combining forces with A3C makes this year’s DAY OFF one you definitely don’t want to miss!